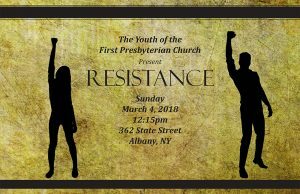 Join us for the annual children and youth musical at First Presbyterian Church. 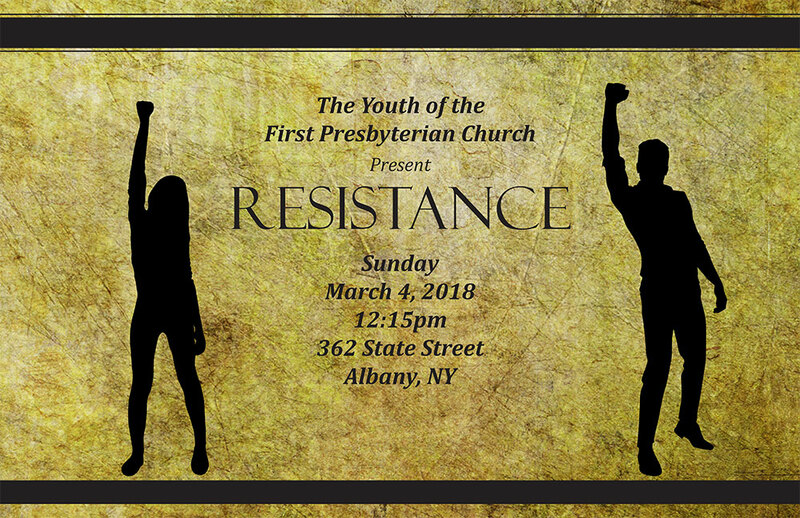 “Resistance” will be held Sunday, March 4, at 12:15 (after the 10:45 service) in the sanctuary. Come hear and see the children and youth put their beliefs to music!